Geologists prefer to start this kind of work with a bulldozer. If that's unfeasible, they'll hire a backhoe instead. In a big, well-funded project they might get to use both. But sometimes they have to revert to pre-mechanical means and dig with picks and shovels. This 19th-century technology, says one textbook, "is a valid option in places where power excavation equipment cannot be brought to a remote site, and abundant cheap labor is available." Three recent examples show that the motivation of doing science can be powerful enough to get the job done. 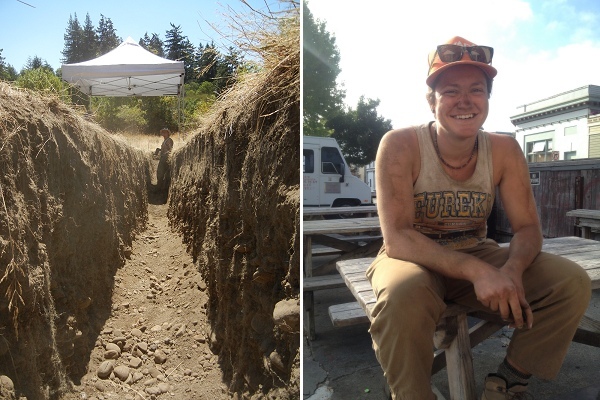 Last August, Humboldt State University researcher Sylvia Nicovich led a team of volunteers to a lump in the land south of Eureka, California, along the Van Duzen River, suspecting that it marks part of the Little Salmon fault. Her crew took two days to dig a trench across it 50 feet long and 4 feet deep, through a grove of newly planted saplings. "Rallying up a bunch of dirt lovers who enjoy being outside and physical was not a problem," she said. "In fact, no one complained the whole two days of heavy digging, even with blisters on their hands and sunburns on their backs." A backhoe, even if the site permitted it, would have been more hassle, Nicovich said: "Lining up funds, land access in this delicate area, and all the necessary equipment for employing a backhoe turned out to be much more difficult." And the scientific yield was good—the sides of the trench revealed a buried terrace of gravel. 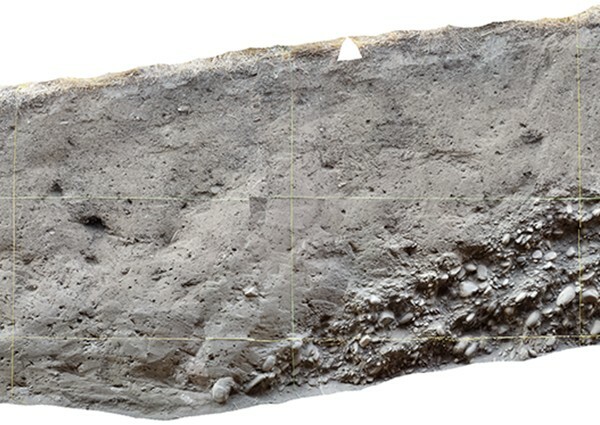 Cores driven from the left end of the trench helped trace the gravel surface farther downward and show that it matched other evidence of uplift due to recent fault activity. Nicovich presented her results at a meeting in San Francisco last month. At the same meeting, veteran fault-trencher Jim Lienkaemper of the U.S. Geological Survey reported on another project that involved strictly human power. Lidar data from the deep countryside east of Clear Lake revealed a short but dramatic fault scarp, hardly two miles long, that appears to connect the much larger Bartlett Springs and Green Valley faults. Its name, the Kuikui fault, came from an ancient Indian site in the area. 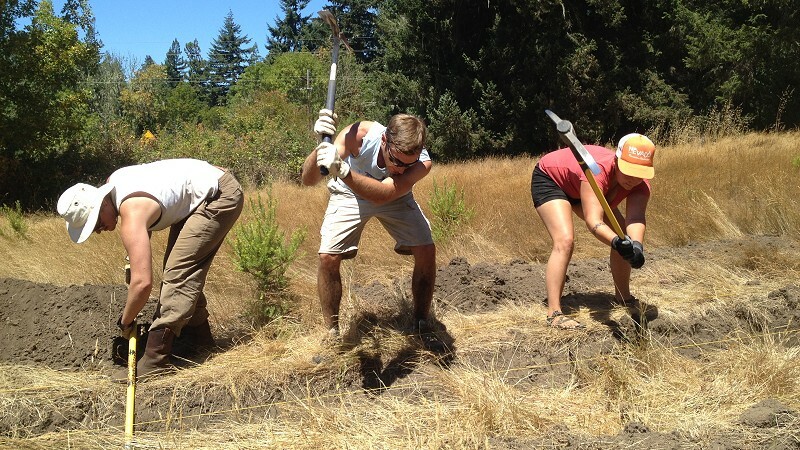 Because wilderness regulations ruled out the use of a backhoe, Lienkaemper arranged for several other scientists, with a crew of students from Humboldt State and College of the Redwoods, to descend on the site and hand-dig a 25-foot trench in the shade of an oak tree. The attraction for students, I'm sure, was that joining a project with Lienkaemper is a master class in fault investigation. Unlike the Van Duzen River diggers, they hit foot-sized boulders, but they persevered and uncovered evidence of recent movement on the fault. 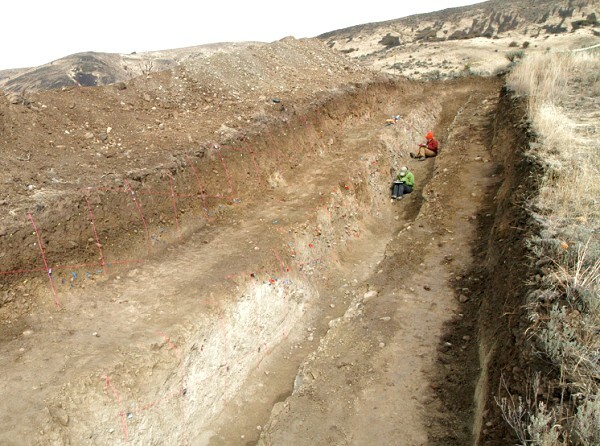 A third example of geologists turned ditch-diggers comes from Washington state. 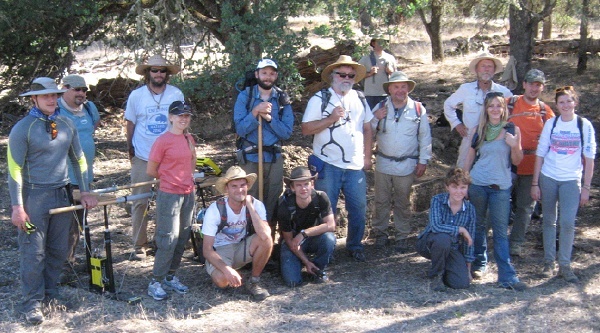 Brian Sherrod of the U.S. Geological Survey has been part of a long-running hunt for the source of a major earthquake in 1872. The scanty records of the time weren't enough to locate the fault that ruptured, but in lidar surveys made in 2013 Sherrod spotted a fresh-looking scar in Spencer Canyon, near the central Washington town of Entiat. The site was inaccessible for backhoes, so Sherrod rounded up a crew of colleagues and dug not one, but two trenches by hand. The evidence they found there, as well as the ages of trees growing nearby, point to this short but powerful fault as the culprit of 1872. The Seattle Times has good coverage of this project and its significance for builders and emergency planners all over the Pacific Northwest. 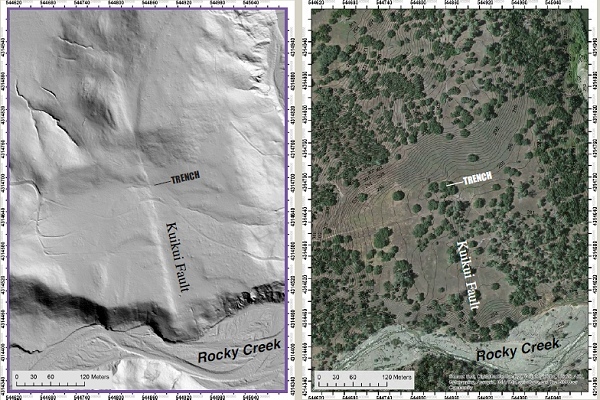 It's noteworthy that all three of these labor-intensive projects were supported by lidar, the newest high-tech, hands-off, computer-driven way to study the land surface. The new ways can sometimes make it pay to use the old ways.